Get your best wigs out guys, Cher has graced us with a teaser view of her “Woman’s World” video. Okay we know you can’t get the song put of your head, but wait till you see the video tomorrow! Elton John denies that he demanded a separate hotel suite for his sunglasses collection from promoters for a concert in Brazil. The unnamed source also claimed that John also demanded vases of red and white roses, four bottles of cranberry juice, a pint of fresh skimmed milk and two bottles of Pinot Grigio wine. The Daily Mail also reported, however, that a spokesperson for Elton flat out denied the claims. Regardless, John is on a 4-date tour of South America prior to the release of his new album, The Diving Board, which is due out in September. In a one hour documentary special Demi Lovato has revealed that she still battles daily with the demons that caused her to seek treatment in a rehab centre. The 19 year-old star has suffered with body image issues, eating disorders and self harm. Today (March 7, 2012), the Daily Mail reveals the struggles that Lovato still has to overcome, which will be aired tonight. 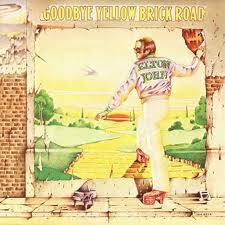 (RTTNews) – The artist behind Elton John’s Goodbye Yellow Brick Road album cover, Ian Beck, has recently requested the original piece back. Elton John isn’t letting up on his criticism of the British paper the Daily Mail for its coverage of his baby son, Zachary. After posting a statement on his website criticizing the paper for erroneously claiming he doubled his staff to look after the new baby, another statement has appeared ridiculing the paper’s latest claim: that he had to hurry back into the studio to make another album so he could afford to pay all those extra staffers. 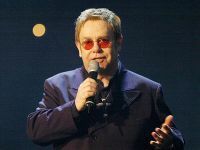 As previously reported, Elton sued the Daily Mail for libel a few years back and won, which may have something to do with the current war of words.